The world’s best horse Winx will be on show for her Sydney fans at a special public event this Saturday, 9 February, ahead of her highly-anticipated return to racing in The Star Apollo Stakes at Royal Randwick a week later. Champion Winx winning the Queen Elizabeth Stakes at Randwick in April. (Pic: Bradley Photos). 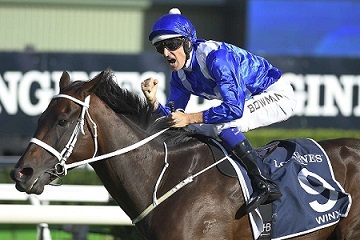 “Sydney fans shouldn’t miss any opportunity to see Winx whether it be this Saturday or on several race days this autumn,” Mr Heddo said. Her autumn program could also include the Group 1 $600,000 TAB Chipping Norton Stakes (1600m) at Royal Randwick on Saturday 2 March, the Group 1 $1 million The Agency George Ryder Stakes (1500m) at Rosehill Gardens on Longines Golden Slipper Day Saturday 23 March, and a final run in the Group 1 $4 million Longines Queen Elizabeth Stakes (2000m) at Royal Randwick on Saturday 13 April. For all ticketing information including early booking discounts go to theraces.com.au. Racing NSW – your home of live racing, form, tips and the latest news.